The followup to Image & Form’s successful indie game SteamWorld Dig is chugging along nicely and since we know so little about it, the developers decided to throw us a little clue to as to what the game will be like. 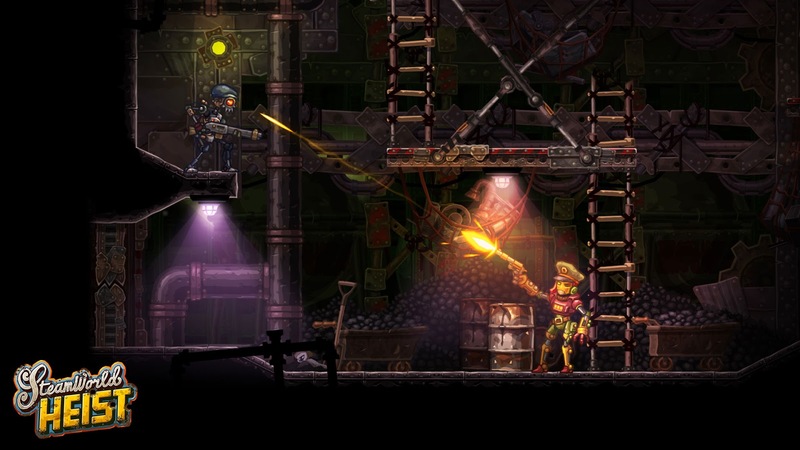 Here is the first gameplay screenshot from SteamWorld Heist! We can kind of see that it still a platformer of sorts but no longer features the digging mechanics of the first game. Hopefully we’ll get more information about the game soon.